A breakthrough piece of wearable tech could help people with autism, by monitoring anxiety levels in real-time. 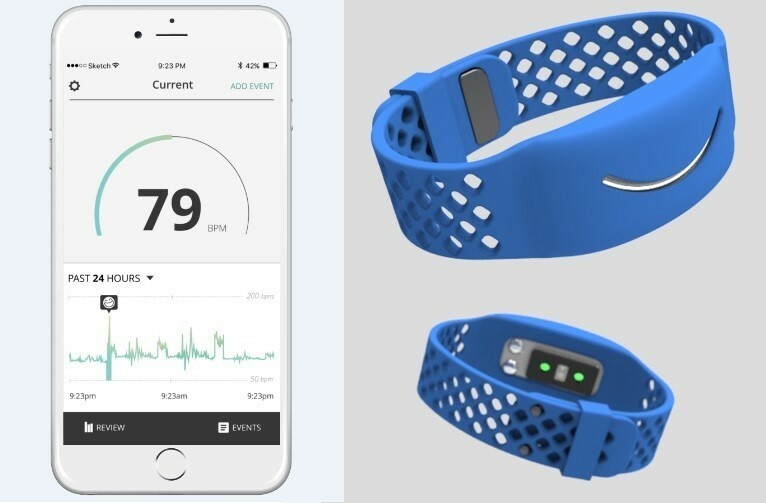 The band, developed by Awake Labs , uses a combination of sensors and an algorithm to “measure and track physiological signals”. This allows parents or caregivers to better understand behaviour, and work towards preventing meltdowns. “It would have a huge impact at home, in the classroom or in daily routines,” Andrea Palmer, CEO of Awake Labs, told CBC News . A "meltdown" is an intense response to an overwhelming situation, characterized by a loss of control, which may be expressed verbally, physically or both, according to the National Autistic Society , a British charity. Ahead of meltdowns, many people with autism will show signs of distress. This is where the "Reveal" band comes in. By monitoring physiological signals such as heart rate, skin temperature and sweating, and alerting parents and caregivers via an app when a person’s anxiety levels are heightened, the technology can help make meltdowns more manageable. It allows parents and caregivers to react early, potentially preventing meltdowns by using strategies to reduce anxiety. Developed by a team at the University of British Columbia, it combines the latest in software design, biomedical engineering and data analysis. “We want to reduce problem behaviour and increase the amount of what we call, teachable moments,” explained Palmer. Technological advances have the potential to make a significant difference to human health. Whether it's a stretchable skin that monitors vital signs or a a microchip that mimics a tiny human liver, technologies are opening up a radically different and more effective approach to healthcare. The ‘What if: we become superhuman?’ session at the World Economic Forum’s Annual Meeting of the New Champions, in Tianjin, China, looked at just this. The panelists examined the potential of human enhancements, as well as the possible impacts.